Today, U.S. 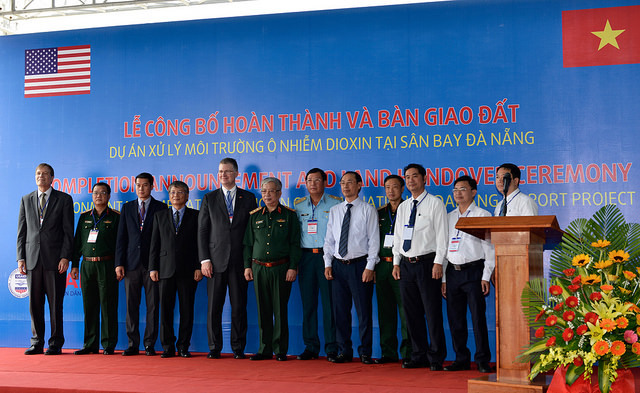 Ambassador to Vietnam Daniel J. Kritenbrink and Vietnam Ministry of National Defense (MND) Vice Minister Nguyễn Chí Vịnh witnessed the signing of an agreement to hand over 13.7 hectares of remediated land at the Danang International Airport to the control of the Ministry of Transportation. This is the third and last portion of land to be turned over for expansion of Danang International Airport. The ceremony also marked the completion of the six-year, $110 million Environmental Remediation of Dioxin Contamination at Danang Airport Project, jointly implemented by the United States Agency for International Development (USAID) and MND. Launched in August 2012, USAID’s Environmental Remediation of Dioxin Contamination at Danang Airport Project serves as an important milestone in the bilateral relationship between the two governments and will result in a cleaner, safer environment for the people of Danang. The project has successfully treated over 90,000 cubic meters of contaminated soil and sediment through thermal desorption and safely contained an additional 50,000 cubic meters of low concentration, dioxin-contaminated material. USAID and MND tested the treated soil and sediment to determine if the cleanup objective of 150 parts per trillion (ppt) was achieved. Phase 1 treated soil was less than 9 ppt and Phase 2 even lower (<1 ppt), exceeding all project goals. USAID/Vietnam Mission Director Michael Greene stated, "We are very pleased that our successful efforts with Vietnam's Air Defense-Air Force Command have resulted in over 30 hectares of additional land for expansion of Danang International Airport, which will drive regional economic growth." The United States is committed to working with Vietnam and MND to resolve war legacies while continuing to strengthen the economic, cultural, and security ties between the two countries. The Bien Hoa Airbase area is the largest remaining hotspot of dioxin contamination in Vietnam. On May 11, USAID signed a grant with Vietnam's Air Defense-Air Force Command for a total expected contribution of $183 million towards remediation activities in the Bien Hoa Air Base area over an initial five-year period. The signing of this joint project document is the first step in this important initiative. 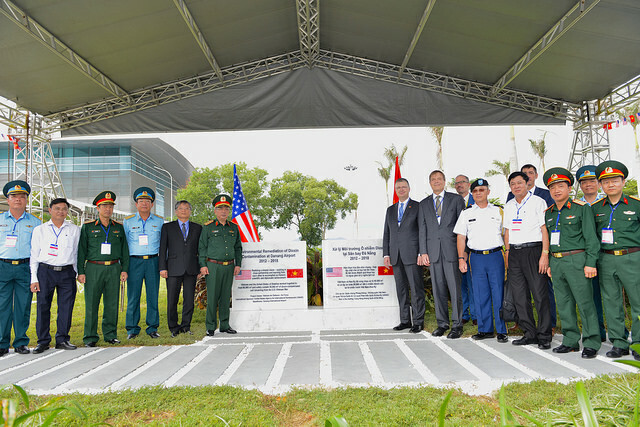 Since 2000, the United States has worked with Vietnam to resolve humanitarian and wartime legacy issues. These include the removal of unexploded ordinance, the identification of remains of missing personnel, and the remediation of dioxin.